It can’t be allowed to go by without a comment on the old blogeroonie. I didn’t travel to London to be with the crowds and watch the Royal event of the decade. I am not particularly for or against the Royals. We did however, watch the whole thing on the television and were left slightly overawed at all the ritual and pomp that surrounds such an event. 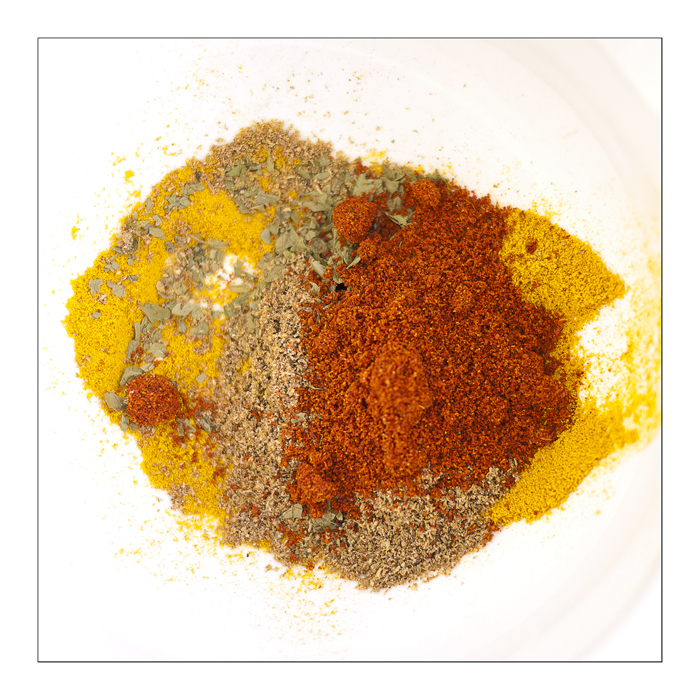 The organisation, the expense, the beauty on show, has to make the whole thing a winner? Doesn’t it? I have to say that the whole day was made worthwhile by Pippa Middleton and her bridesmaid/Maid of Honour attire. I realise that we at our little party were not the only males in the land secretly admiring her ‘simple’ dress. In fact, I have not known so many males in one room take quite such an interest in the fashion world before. Well done her, and well done pretty much everybody for a great day. My only little gripe about the whole proceedings is that I really do not like to be told by idiotic ‘guest’ presenters on the BBC that the nature of this wedding shows us that the ‘new’ Royals are much more like us and that it contained much less stuffiness and much less grandeur!! For goodness sake, it is what it is, a ridiculous display of enormous wealth and decadence, please do not insult us by trying to pretend that it is anything like what MY wedding will be like next year. It wasn’t, it isn’t and it never will be. After all, isn’t that the point? Anyway, generally quiet week on the old photography side and much time has again been spent working on admin, marketing and site updates etc. 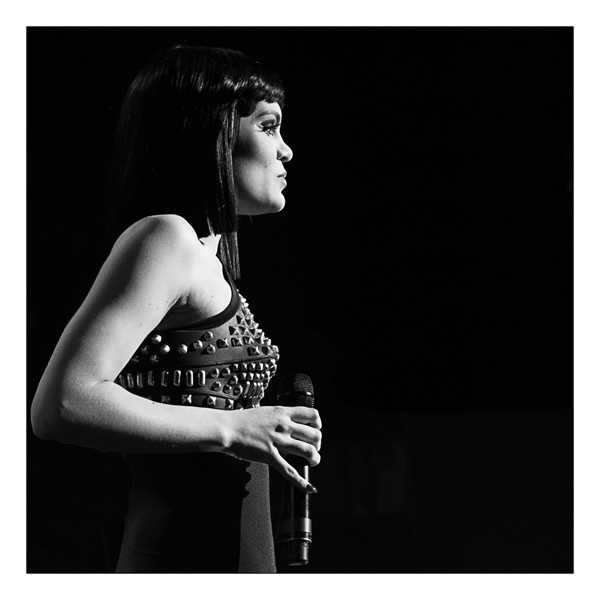 Please visit the Gallery here http://www.ellisimagery.co.uk/gallery_417198.html for all things Jessie J and Rene Woollard. Rene has also confirmed this week that we are on for the Olly Murs gig in a few weeks time in Bristol so that should be a good’un. He also said that we might even grab a few drinks after the show so that will be brill to spend time with him again. Also, keep your eyes peeled for the Elbow/Potter/Godin ad which will be in all good guitar mags in the next few weeks. 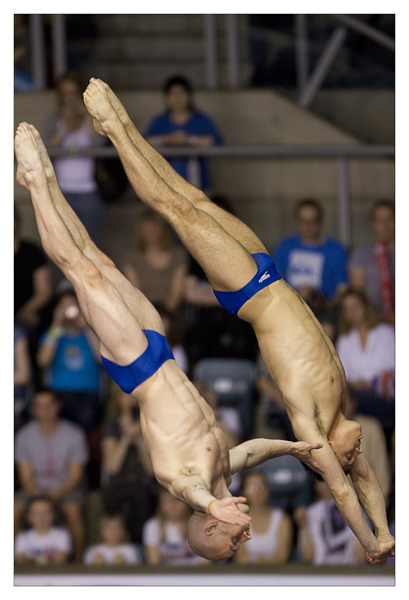 I sent off some pics to the Tom Daley TV website so they might have a few pics up on their website, however, they already have some of the mightily talented Rogan Thomson’s up so there might be a bit of duplication in a couple of them! 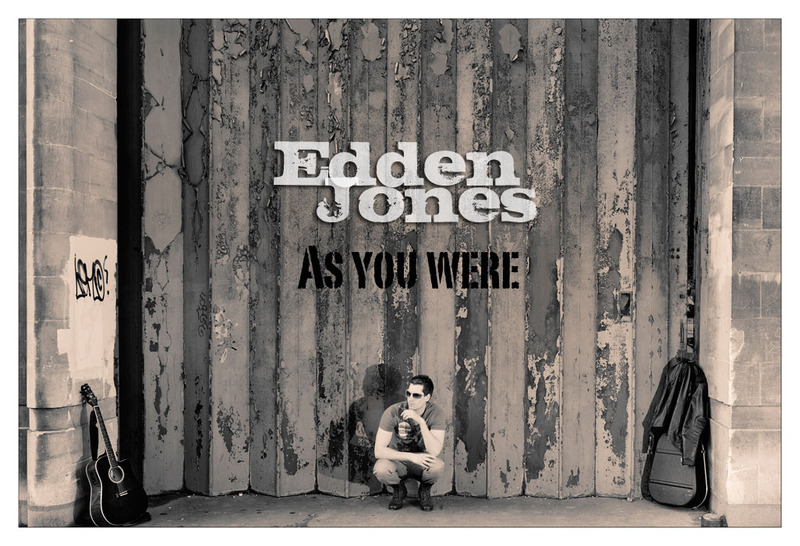 Edden Jones' "As you Were"
Did a few interesting things over the weekend that meant no time for any ‘serious’ photography but then, thats what bank holidays are for isn’t it? I decided that too much of my photography is serious ‘work’ and that I seem to miss out on the more impromptu snaps that others seem to capture so easily in this world of Facebook and Twitter. Therefore, I ‘needed’ to have a more handy camera than my big weighty DSLR Canons. So, being a ‘tog, I couldn’t just opt for something ‘normal’ and ended up deciding to get the Panasonic GF-1. The new Fuji X100 looks great but way out of this slightly whimsical budget! So, with the decision made the trick was now finding one (they are no longer being produced) at a discounted price as the new (and imho, inferior) GF-2 is now out. Well, having trawled through all the usual suspect retailers I settled on a big high street chain. Only, I wanted a 20mm f1.7 lens kit and they didn’t have one. Or at least not in Bristol where I was at the time. So, after a few phone calls, one was located in Exeter, so off we quickly high tailed it, as it was one of the only kits left in the south UK. We duly picked it up on Saturday afternoon for an amazingly good price! 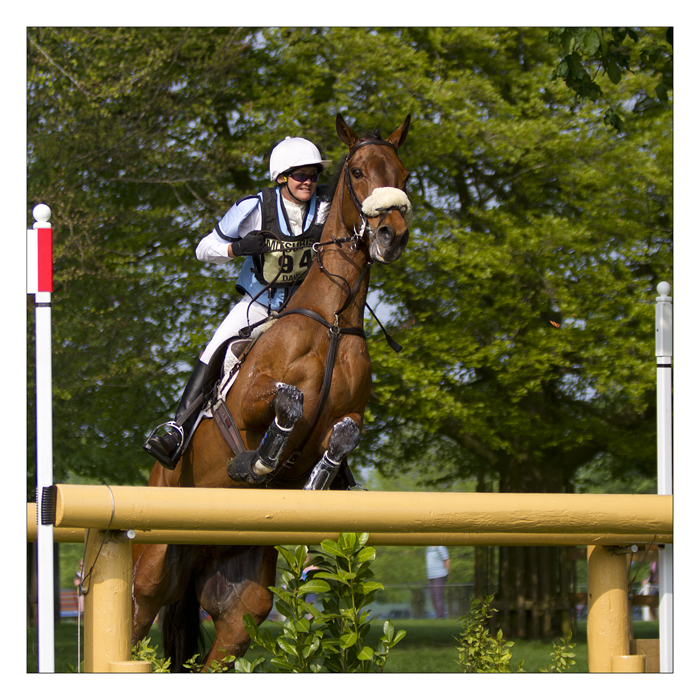 The graceful power of chestnut, "Woodfalls Inigo Jones"
Sunday was spent in an ‘unofficial’ capacity at the cross country day of the Badminton Horse Trials. I have been several times before and I decided that this time I would take my 7D with just the 70-200mm f2.8. 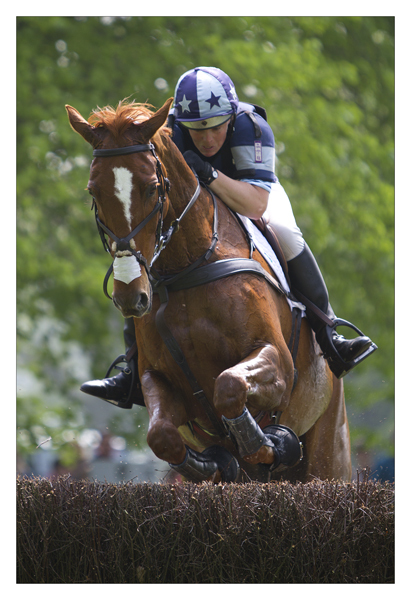 I wanted to capture the ‘power’ of the horse rather than the fence or rider. In fact, for this purpose, any other element than the horse, was going to be incidental. I therefore chose to shoot wide open at f2.8, thus ensuring on this bright Easter Sunday, that the motion of the horse should be pretty much frozen. These beasts are amazingly honed athletes and I hope the shots I have made portray this. It is quite an exciting experience being there as nothing happens for a few minutes until horse and rider appear at pace, there is a pounding of hoof on ground, a mad flurry of activity for a few seconds and then they are gone as fast as they arrived. Bank holiday monday was spent lounging after a quick visit to Bath with new GF-1 in tow and many family snaps made!! It is quite a cathartic experience to be able to just take a photo without having to worry about composition or depth of field or exposure etc etc… I wonder how long it will last? Finally, there was the difficult task of deciding what Olympic tickets to go for and hope to get. I am not fully sure of the procedure and how they decide who gets what but if it all comes off then we have a week full of competition and a shed load of money going out of our account. However, I think it will be just one of those amazing spectacles that you just have to be a part of, rather than apart from, otherwise it will be a tough month and the opportunity will pass by. I for one, cannot wait, here’s to hoping we get some great tickets! At the weekend we went to a friends wedding and for once I was able to carry my camera because I wanted to and not because I HAD to. This meant I was able to enjoy the whole day with no pressure to deliver (not that I ever do Weddings anyway) and I could merely shoot whatever took my fancy. I strapped my 85mm f1.4 Sigma to my 5D II and just took some ‘snaps’ of friends and loved ones etc. 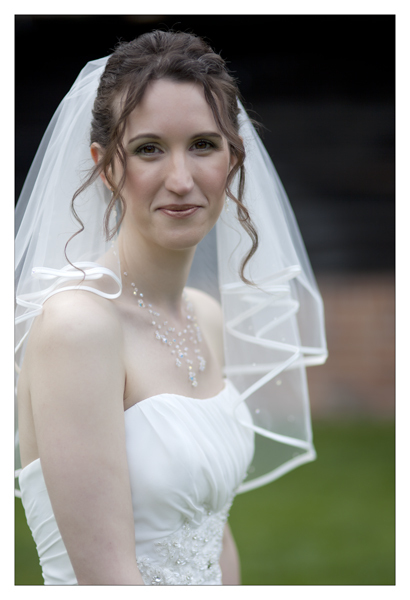 Oh ok, I did manage to see the Bride was left alone for 3 minutes and I managed to grab a few frames before she wilted. Needless to say we all had a great time and thoroughly enjoyed the favourable weather and gorgeous venue. The wedding ‘tog, by the way, carried with her not one but two assistants and between them I think they probably covered the whole event pretty well. You couldn’t blink for cameras! They only sported Nikon’s though so they couldn’t have been that good! Sunday I spent a little time trying to find the Red Kite’s that frequent a field behind where we were staying and having strapped my 2X convertor to the 7D and added the hired 300mm, I reckoned on having a whopping 960mm of telephoto lens at my disposal, fully auto-focusing and f5.6 at its fastest. All was great before I realised the sun was directly in my face and the pesky Red Kite’s were nowhere to be seen!! Never did like birding all that much…. I did a silly thing when at the diving and that was deleting the files on the compact flash card before I had saved them onto my laptop. So, I have today been trying to save the files via Rescue PRO. Now, maybe I am being a bit silly but the Rescue PRO software I have that came free with the card will not load onto my mac. When I chased Sandisk they said I had an old version that wasn’t compatible with Snow Leopard and I would either have to purchase a new card or buy the new software!! The bloody cheek…I already had the goddamn program and expected a free update. Seriously not happy. Anyway, problem more or less solved when I realised I could re-load the program onto my old Windows PC and save the files that way! Bit drawn out but saved them and all is good in the Ellis Imagery world now. Thursday night I travelled up and stayed overnight with a friend halfway to Sheffield. 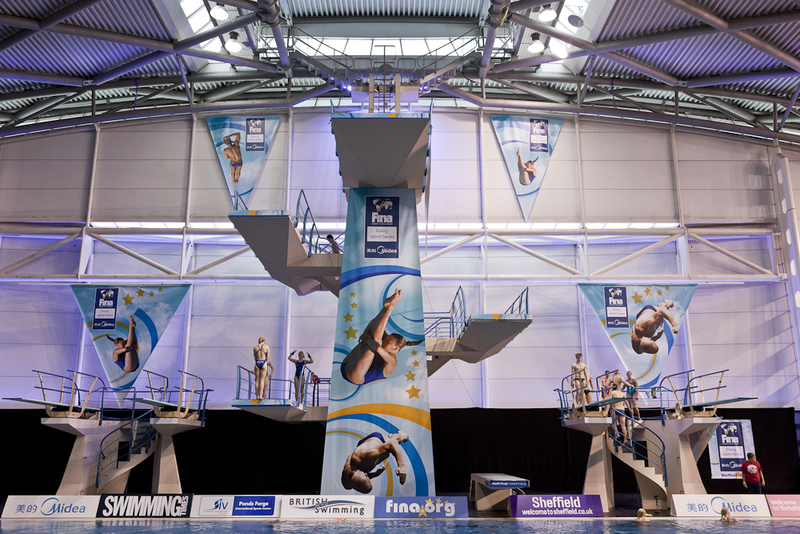 The next venue for the FINA World Diving Series and my first visit to Ponds Forge the Sports Centre there. I arrived on Friday in plenty of time to become accustomed to the surroundings and was pretty impressed with the set-up and the way the facility looked. Especially as the whole area had been decked out and branded with up to 10m high banners made from my photo’s of some of the divers in Rome last year. They looked (although I say it myself!) pretty awesome. It was great to bump into and chat (annoy) Rogan Thomson again, a great guy and photographer who is gonna go far in the sports photography arena. The action was brief but hectic with each afternoon semi-final being over in only 15mins or so. This meant getting into position and then shooting with no real chance to move about. As I have become accustomed, the background to the divers is invariably cluttered and its difficult to get separation from it. Light also is difficult and I guess this is a normal problem for sports ‘togs generally, but very much so indoors with minimal external light. We were shooting at 2000 iso and shutters of around 1/1000th sec which, believe it or not is not really high enough for diving. My 7D however just gets too noisy above this iso and therefore a compromise needs to be reached. I was also test driving a hired 300mm f2.8 which made for better shots but much harder camera skills were required. Most of the pro’s there were shooting with Nikon D3s and they are unquestionably less noisy than the Canon’s at those levels. The evening session didn’t start until around 6ish and when Tom Daley and Peter Waterfield collected their excitingly won 10m Synchro Gold Medals the time was already 9:30pm. My friend and Diving’s High Performance Manager, Kim White was suitably delighted and the attending dignitaries suitably impressed. Well done to him and to Tom and Pete for an exceptional performance. The event was dominated generally by the chinese who do not fail to impress with their skill, precision and utter dedication. On a side note it was also wonderful to see Monique (Gladding) looking so determined and excited to be getting back. Steve, Mon’s Coach and more importantly, husband, is easing her back gently but encouragingly and it seems it won’t be long before we see her on the competition trail again. It was great to see her carry the flag for the British team at the opening ceremony. I got back to Oxford where I was staying almost dead on midnight and was glad to enjoy a steaming hot meal and smile when I got in!! 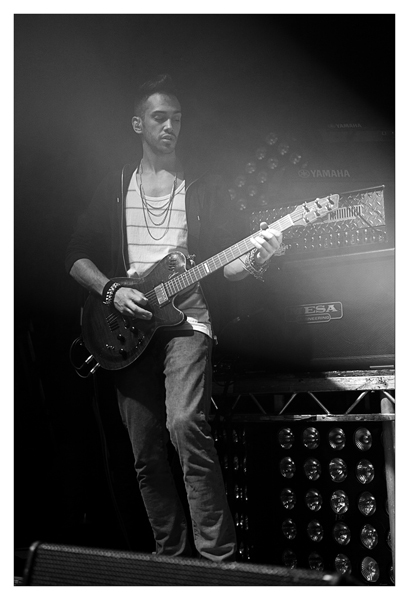 Hooray, I have now officially finished the Jessie J/Rene Woollard/Godin Guitar shoot. Taken me pretty much all day and will take me till next week to get them up on my website but another two for you to be going on with! 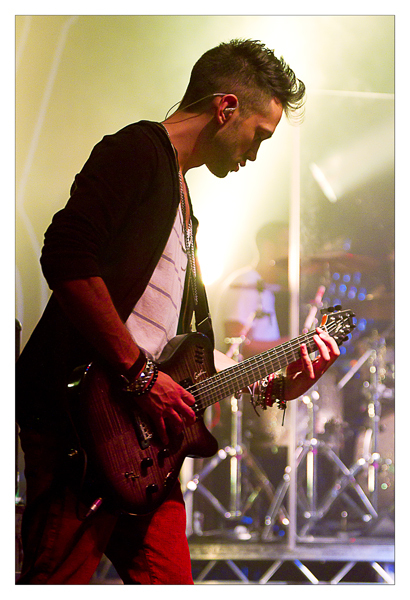 I particularly like a few of them that won’t be much good for Godin but are pretty cool photo’s of the gig. I have, as usual, spent some time over the processing of them and am just mad for the slide and print filters from yesteryear. Some of the cross processing effects are to die for and I am able to pretty much juggle with tone and colour to my hearts content. I am really slow on the first few pics but once I get hooked into the ‘vibe’ then I can pretty much get the looks I see in my head relatively quickly. Rene especially looks so cool in some of these, he is so good looking and fit etc that it is hard not to make him look cool but like all great artistes, he carries that certain something else with him…I must persuade both him and Godin that a studio session should be in order! Rene has also confirmed that he is playing for Olly Murs next month on his tour next month and that we can get in at the Colston Hall in Bristol this time which should give us much more room and space! I think I might trial a couple of alternative methods for that shoot too…..
Well the last few days have been a right old mixture of this and that really. The weekend was spent with a wild Friday night watching The Mob and their return at Bristol’s Fleece. It really was a blast from the past with many old faces from the 80’s and a realisation that full on punk was aggressive and not a little bit scary! This early week has been spent on a few odd jobs which mostly involved phoning BT’s helpdesk and getting banking set-ups right for the ever growing business. Let me know if you like these starter shots? ?